Charlie Gasparino on concerns within the Trump White House that if the partial government shutdown continues it could begin to impact U.S. economic growth. President Trump’s top economic advisers are concerned some of the early economic data points are showing the 21-day government shutdown, now tied for the longest on record, will dent the U.S. economy, FOX Business’ Charlie Gasparino has learned. This may prompt Trump to declare a national emergency as soon as next week. The economic impact of the shutdown has caused a degree of panic among President Trump’s economic advisers. 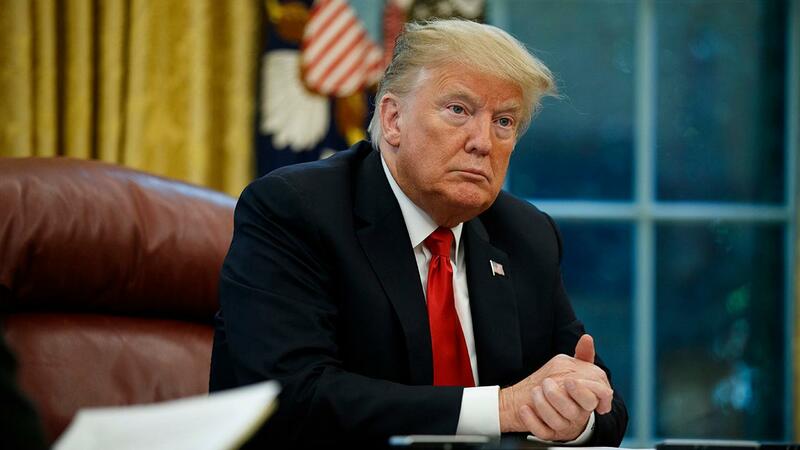 The president is now said to be leaning toward declaring a national emergency to fund his border wall, thus ending the impasse that has led to a nearly three-week government shutdown. Speaking Friday afternoon Trump addressed the situation. “The easy solution is for me to call a national emergency... but I’m not going to do it so fast" he told reporters, while also noting he still has the option if he chooses. The shutdown is also why the White House is expected to “scale back” its delegation to the World Economic Forum in Davos, Switzerland, says Gasparino. Trump himself formally pulled out of the conference on Thursday. White House sources say the new delegation will include Treasury Secretary Steven Mnuchin and Commerce Secretary Wilbur Ross and possibly one or two more officials. An updated, scaled down list of attendees is expected to be released from the White House as soon as today. Next week investors will get key economic data points on New York and Philadelphia manufacturing, retail sales, housing and industrial production. Improving U.S. economic growth has been a cornerstone of Trump’s presidency. GDP rose 3.4 percent in the third quarter. While that is below the 4.2 percent record in the second quarter it remains among the strongest in years. Additionally, the unemployment rate continues to hover at a 50-year low, currently at 3.9 percent, and U.S. employers added 312,000 jobs in December, making 2018 the best year for jobs since 2015.